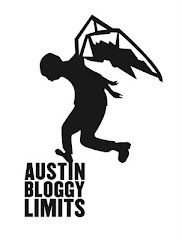 AustinBloggyLimits - An Austin Music Blog: Beauty Bar, Friday, It's Going Down. Beauty Bar, Friday, It's Going Down. The only thing better than a party, is an anniversary party for a company that throws parties professionally. That's why you should head over to Beauty Bar Friday night for Learning Secrets 6th Anniversary party. It's also my homegirl Jen Leduc's birthday so she'll be hosting some bands in a different part of the bar. If you act fast, you can still RSVP for the Learning Secrets party giving you $5 entry, otherwise it's going to be $8 at the door. I expect the house will be full 'round midnight. Did I mention that, remixer's du jour, Classixx will be headlining a DJ set?!?!? Needless to say with Classixx in the house, Beauty Bar is going to be a throbbing, sweaty, hipster dance-party. Throw your Lone Star's in the air, y'all!! Before Classixx we'll be seeing, Woolfy, who's signed to DFA Records. Maybe you've heard of it? The doors for this gig open at 9pm Friday and the first 100 people will get drink ticket(s), which they will be purchasing with the price of admission. Take that alcohol enforcement (TABC)! Just kidding, TABC, we cool. Let's hang out more. Oh, and for that one reader that's really upset that I would presume that you, my dear reader, already know about DFA Records, when you don't. ---> DFA Info. As if I'm not going to include an LCD Soundsystem video, chuh, doubt it. Thanks to DFA Records' distributors Capitol/EMI for not allowing people to embed your official videos from YouTube. That is why I have a video with dogs set to LCD Soundsystem. I got so caught up in DFA Records, I forgot to give you info about 40 Rock, Jen Leduc's Birthday Bash. Entry to that event, on the same night at Beauty Bar is also $5 but does not require an RSVP. She's hosting four bands, with Stereo is a Lie headlining. Here's the full line-up with poster and more info courtesy of my sister-wives over at Do512.